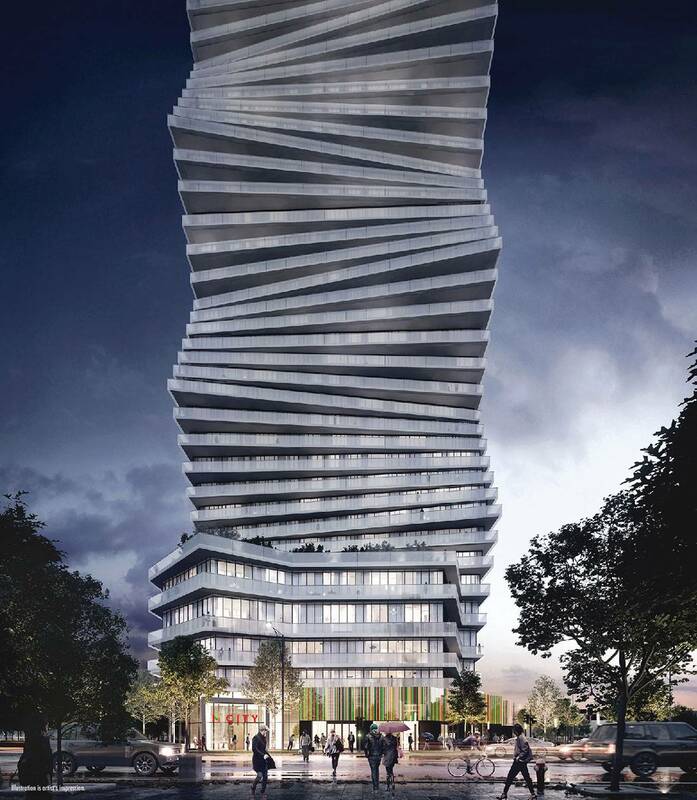 A rendering of the M City condo development in Mississauga, Ont. It was the hotly anticipated launch of a massive condominium development: Ten buildings, soaring up to 60 storeys, in downtown Mississauga, Ont., complete with a rooftop skating rink, saltwater pool and public park. Interest was so high that nearly 2,500 real estate agents lined up outside for hours on a chilly spring morning to get floor plans and prices. Later that day, when sales opened in the marquee first tower of the project, known as M City, realtors summoned eager clients to office boardrooms, hotel banquet halls, community centres and anywhere else they could sign up en masse. At a time of sky-high demand in the Toronto region's housing market, home buyers saw a rare chance to get in on the ground floor of a mega-development. For real estate agents, M City was an easy sell: A new project meant lots of units and opportunities for hefty commissions. It didn't work out that way for most. Within three days, the developers were deluged with 8,000 purchase requests. But just 547 condos were available – an average of almost 15 buyers for every unit. Despite widespread marketing and intense public demand, insider real estate agents were given preferential access to multiple allocations of M City units, a selective process that has quietly become a standard practice in the high-stakes world of new condominium sales in the Greater Toronto Area. Insider real estate agents were given preferential access to multiple allocations of M City units. A Globe and Mail investigation, which included dozens of interviews with real estate agents, brokers and home buyers, found an opaque, tiered system that isn't understood by many consumers – and even some realtors – and can mean the difference between landing a condo at the cheapest price in a popular development or being left out of the region's wildly expensive housing market. With no requirement for developers or brokers to publicize preferential sales relationships, and advertising standards that allow realtors to brand themselves using ill-defined terms such as "platinum" and "VIP," there is no way for condo buyers to reliably know if they have enlisted an agent who can deliver. Exclusionary private sales are not against the law, but some real estate agents and observers say they raise fundamental questions about the industry's ethics at a time of high demand. As one of the hottest new developments, many agents point to M City's early sales for a striking lack of transparency that left a trail of frustrated buyers, bruised realtors' reputations and strained relationships. Preferential sales – as well as related questionable advertising uncovered by The Globe – have sparked concern at the Real Estate Council of Ontario, the self-governing body that regulates realtors. Kelvin Kucey, deputy registrar of regulatory compliance, called the prevailing methods "disconcerting." "It's an unfortunate form of exclusive practice but it's not one that at this stage is illegal," he said. "It certainly is on our radar of concerns and the idea that you would be passed over for a particular unit because you haven't contracted with the right real estate agent – that is a concern to us." Rogers Real Estate Development Limited and Urban Capital, the developers behind M City, along with Baker Real Estate, the company hired to manage sales, declined interview requests but issued a written statement through their communications firm: "As is standard practice in the industry, there were brokers who, because of a solid track-record of closing deals, have earned priority with the listing broker or developer." In the early days of Toronto's condominium boom, developers largely sold their inventory directly to individual home buyers, some of whom resorted to camping out on sidewalks for days to guarantee front-of-the-line access. But builders found the process inefficient, as consumers agonized over purchases and buildings took a long time to sell, which delayed securing financing necessary to begin construction. Many developers now outsource condo presales to specialized real estate sales and marketing firms that grant preferential access and unit allocations to individual brokers and agents with networks of serious buyers, many of them investors, based on past sales performance and personal relationships, industry insiders say. The murky system moves suites quickly in the early days when buzz and interest are often highest and is managed by a handful of gatekeepers such as Baker Real Estate, the region's leading preconstruction sales and marketing firm. "Fair or unfair, there's nothing wrong with it … It's completely above board," said Brad Lamb, a real estate developer and broker. "The issue here is that for many, many, many, many years, developers opened up sales offices and what they learned is they got punched in the face every day by buyers taking their time kicking the tires, which is the buyers' right, to do that. But it's the sellers' right to say 'I don't want to sell that way any more.' "
M City’s developers and sales representatives said no special considerations, such as referral fees, were involved in granting priority access. For insider realtors, the system offers a pipeline of access to inventory – and often quick sales and easy commissions. "You just have to go out and sell every project for them. It's not just the projects that are in high demand," said Aman Kapoor, a real estate agent whose firm was allocated a total of approximately two floors in M City's first tower. "It's just consistent performance that determines that." In their statement, M City's developers and sales representatives said that, "consistent with industry standards," no special considerations, such as referral fees, were involved in granting priority access. However, critics of the system say it is unethical, arguing that realtors who are part of this insider world – and who have strong incentives for seeking continued access – are not serving their clients well. "If you look at agents that 'specialize' in preconstruction, how did they get to that point?" said David Fleming, a Toronto realtor who writes a blog about the industry. "They got to that point, in my own personal opinion, by working in the best interests of the developers and demonstrating to the developers that they have no problem backing off in terms of representing their buyers." The Globe spoke to numerous real estate agents who were uncomfortable with the sales tactic, but were reluctant to be identified because of concerns about negative impact on their business and future access if they spoke out about the industry's practices. Several questioned the degree of access given to industry insiders. Some brokerages circulated draft M City floor plans online more than two weeks before Baker Real Estate released final layouts to realtors at the sales launch event on March 22. Even some home buyers who managed to purchase condos at M City say preferential sales are unfair and called on the provincial government and real estate industry to enact reforms. "It's not transparent," said Anand Doddaiah, a 38-year-old banking industry consultant and father of two who bought a unit in the first tower. "As an end user, I don't mind paying more. I don't mind losing it to the competition. But there should be transparency in the entire process so that I can see if the other person has got it and I have not got it, that's fair enough. … The government should do something about it. That is adding to the frustration for most of the end users." M City will reside on a 15-acre plot of land. Now a barren plot of land ringed by a few condo towers and office buildings, the M City site is a former swath of farmland bought by late telecom entrepreneur Ted Rogers to host radio transmitters in the 1960s. Almost 60 years later, his son Edward, along with local politicians, planners and developers, gathered on a weekday morning last September to announce the landmark project. 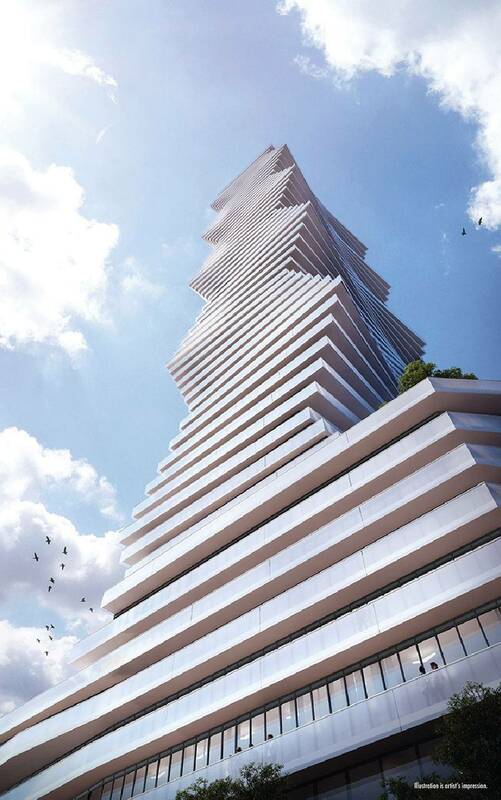 Once built, the $1.5-billion, 15-acre, 10-tower development, which is the Rogers family's first major foray into residential real estate, will have the tallest building in Mississauga. Six months later, amid intense hype, almost 2,500 real estate agents lined up for hours outside a movie theatre for M City's sales kick-off, the biggest preconstruction condo launch many had ever seen. Despite initially advertising that units would start at just under $200,000, the price list for the first tower – which is slated for occupancy in 2021 – ranged from $234,000 for a tiny one-bedroom to $527,000 for a two-bedroom plus den unit. Two months later, prices released to the general public for units with the same floor plans in the second building were up by between $23,000 to $47,000. Parking spots are $30,000, a 50-per-cent jump. Realtors representing buyers receive commissions of 4 per cent. In the months before the event, Baker representatives visited brokerages throughout the GTA to drum up interest. One realtor said a representative assured agents at his firm that units would be available on a first-come, first-served basis. Sensing a golden opportunity, some real estate agents spent thousands of dollars – one small brokerage spent more than $20,000 – promoting the project through websites and other advertising as well as renting venues, hiring staff and hosting hordes of interested buyers who gathered to fill in online purchase requests, several told The Globe. In their statement, the developers and sales team said: "It is an individual business decision whether a broker chooses to market an upcoming project to their clients." The statement also says "market response to M City Condos has been beyond expectation" and noted they limited units to one per customer. In just three days, Baker received more than 13,000 requests to purchase 547 suites in phase one, a figure that was whittled down to 8,000 – enough to sell out the entire project – once duplicates were removed. As their clients waited anxiously, many realtors said they didn't hear back from Baker for days or even weeks. But shortly after the launch event, some heard that Baker representatives were scheduling appointments to sign sales contracts with clients of platinum real estate agents. Chequebooks in hand, successful home buyers and their agents arrived at a white tent on the site of the development at the corner of Burnhamthorpe Road and Confederation Parkway. While some realtors without premium access said small numbers of their clients were offered units, they said the preferential system meant many people lost the chance at relatively affordable homes and also resulted in several frustrated clients ditching them, sometimes for new agents boasting of guaranteed units. One broker said he lost realtors who jumped to firms with insider access. "Our phones are blowing up," an agent at a small firm said. "That creates a horrible, horrible stigma on my company that we can't deliver." Agents who were sidelined say they accept the private system exists, but questioned why platinum allocations occurred at the same time Baker Real Estate launched sales to nearly 2,500 realtors, far more than could conceivably land units. Other realtors said they suspect they were led to believe they had a chance at selling units in an effort to generate free publicity for the development. 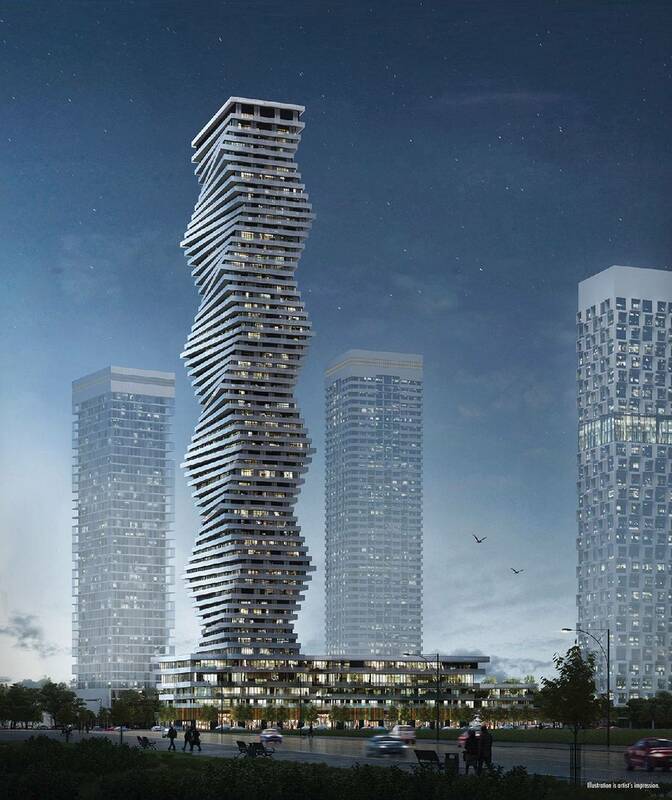 Indeed, many agents said the hype surrounding the M City launch was unheard of for a condo project in Mississauga, a suburb of 766,000 people west of Toronto. Even some platinum realtors have frustrations with the sales system. The Globe spoke to one large brokerage that understood it would receive a hefty number of units, leading its agents to heavily promote M City. In the end, however, the brokerage was allotted just a handful of suites, an agent at the firm said. "For us as realtors, we lose credibility when … you tell your client, 'Listen, I'll get you a unit for sure. I'm a platinum agent.' But when the time comes to sell, and they don't get a unit, they feel like we lied to them," the agent said. Realtors whose brokerages received healthy allocations defended the industry's selective sales practices, saying developers and their representatives have every right to do business as they choose and that pleasing everyone in an environment of high demand is impossible. "It's all about business," said Zia Abbas, one of the most prominent presales agents. "These developers, they don't know which direction they are heading towards. They always try to bring as much agents as possible so in case the first row is not going to perform, that there will be certain different layers of agents who may come on board and perform as their replacement. So yes, hyping in any business, in any industry, is very important." Mr. Abbas's firm sold 37 condos in M City's first release – which he says is the highest number of allocations – but fewer than the 200-plus units he had requested. In all, he said his brokerage has so far sold about 100 suites in the first two towers and he has asked Baker for allocations of 10 per cent of units in each of the planned 10 buildings. "I said to them … if you can take care of me in the first two towers, I'll take care of you guys in the next eight towers." People head into the M City presentation centre at Burnhamthorpe Road and Confederation Parkway in Mississauga, Ont.,on March 30, 2017. On a bitterly cold afternoon in late April, more than 100 vehicles packed the makeshift parking lot of the M City development site as a steady stream of home buyers arrived to sign sales contracts for units in the second tower, which was redesigned and made taller after the high demand for phase one. The sales centre, featuring an image of the first building, with its twisting, stacked floorplate design, had finally been built next to the development's large, three-dimensional, colourful M logo. At the top of the stairs, just inside glass doors, buyers passed an off-duty policeman hired to keep the peace. It had been a few days since the provincial government unveiled housing reforms intended to cool the Toronto region's overheated market. Demand was still strong, but in the weeks that followed, realtors said units were taking longer to sell. Several buyers didn't know their realtors' names – they were just relieved they had managed to secure a condo. "I don't see the market cooling down at all. So to me, it's a pretty safe investment," said Mike Soros, a 47-year-old casino manager from Niagara Falls who tried unsuccessfully to buy in the first tower. Asked about the process by which units were allocated, Mr. Soros said: "I don't care about that, just as long as I can get one." One couple, however, emerged from the sales centre with drawn faces. They were turned away after attempting to speak with a Baker Real Estate representative without an appointment. The husband, who is a real estate agent, had been trying for weeks to obtain a condo for his brother-in-law but had been previously told by Baker that no inventory was available. "We anticipate another release of units shortly," the firm wrote in a March 31 e-mail. "Your request is still valid and we hope to get back to you in the next few weeks." One month later, frustrated over the agent's lack of access, his brother-in-law turned to another realtor with allocations in phase two, a decision that had caused enormous family strife. "We are losing clients as well as relationships," the wife said. The family asked not to be identified because of concerns about the husband's career. At the heart of the couple's anger is their view that the sales process was deeply unfair. Despite the e-mail from Baker – which led the realtor to trust he would be contacted – and multiple attempts to reach representatives, he was left in the dark, a fact that was palpably obvious as he watched buyers and their realtors enter the sales centre to sign contacts. "Only a few agents can get into the units," the husband said, before his wife interjected: "Why not us?" The hypercompetitive world of preconstruction condo sales has spawned some eyebrow-raising advertising practices. The Globe and Mail uncovered multiple examples of real estate agents promising guaranteed preferential access. "100% guaranteed unit," an agent said on Facebook. "Platinum VIP 1st access," another says on his website. "Our clients get guaranteed front of the line access to units and VIP incentives" at M City, one firm said on its website, which boasts of its agents' "deep and long-term relationships with all of the project marketing teams and developers that can allow you to have first choice of condos in any presale in Toronto." Such claims risk violating the profession's rules banning misleading advertising, said Kelvin Kucey, deputy registrar of regulatory compliance at the Real Estate Council of Ontario, the self-governing body that regulates realtors in the province. Penalties range from online education courses to $25,000 fines and revoking an agents' real estate licence. "Absolutely there are concerns with that as we have with any kind of bold-statement advertising. If real estate salespeople are warrantying to the public that they can guarantee something, they'd better be able to deliver on that guarantee as wide breadth as they've stated," he said. Ambiguous terms used in the preconstruction condo industry – including "developer's approved platinum brokers" and "VIP agents" – are not subject to clear definitions or regulation, though they figure prominently in many real estate agents' marketing materials. Several realtors said it is unclear what such phrases actually mean. In addition, there is no way for prospective home buyers to obtain reliable information on which realtors have been allocated units by developers and their sales representatives. Many real estate agents create websites that closely mirror developers' official sites, with similar graphics, photos and promotional copy, save for – way at the bottom – the realtor's name and contact information. The websites urge interested potential buyers to register online to receive updates and "platinum VIP access" to projects when, in reality, they are promotional tools used by realtors to land new clients. The unclear role of real estate agents in M City sales left first-time home buyer Rod Burley confused. When Mr. Burley received e-mails from multiple realtors, he began questioning why they were involved, whether prices were inflated and, most importantly to him, which agents were authorized by the developer and could guarantee him a unit. "That's the problem. You didn't know because you had all these people contacting you," said the 45-year-old manager at a private security company. In the end, after attending information sessions held by two different realtors eager to sign up new clients, Mr. Burley and his wife decided against buying a condo at M City and purchased an older town home instead. "It just seems to me like it was too many hands in the pot pertaining to how many realtors were actually involved with selling the complex."